Great product! Smells amazing, works great. 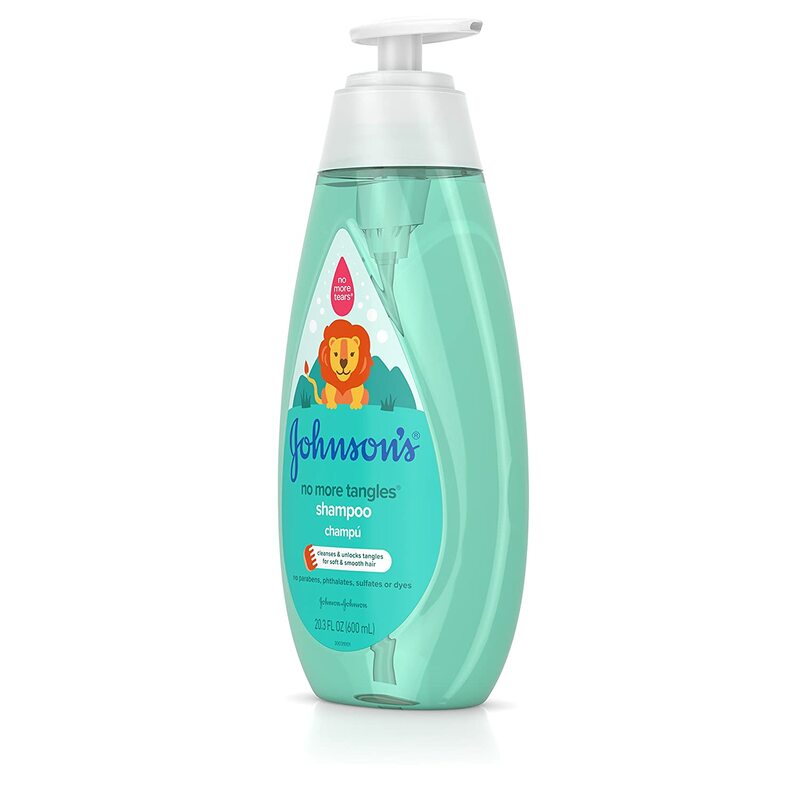 The Johnson's No More Tangle Shampoo really leaves all of my girls' hair feeling soft and silky smooth. 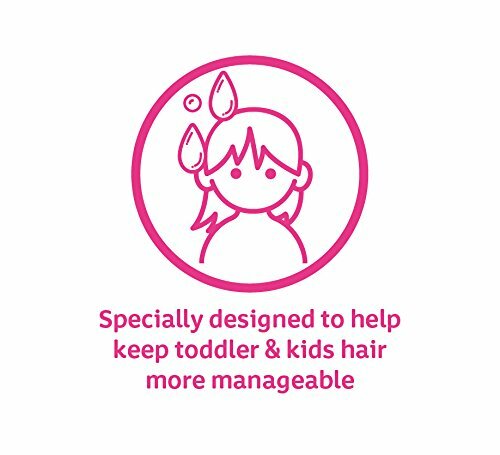 They all have had issues with their hair tangling, and absolutely hate it when they have to be brushed out, and this has basically reduced those issues from the first time it was used. After using this they came up to me literally asking me to touch their hair, it was so soft and tangle-free. It really leaves it looking shiny and clean while feeling soft and very manageable. It also smells great, so there's that. Another huge plus for this is that it's very gentle as well. 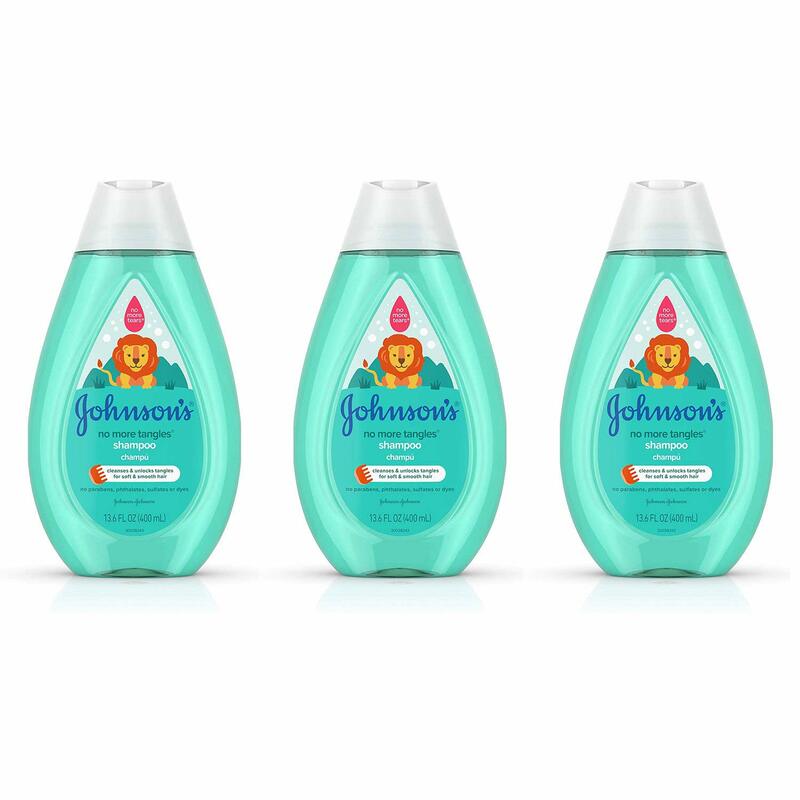 My twins have had issues with over-scented products and are prone to moderate-to-severe eczema when exposed to harsher detergents and perfumes, and there were absolutely no issues with the Johnson's No More Tangles shampoo. 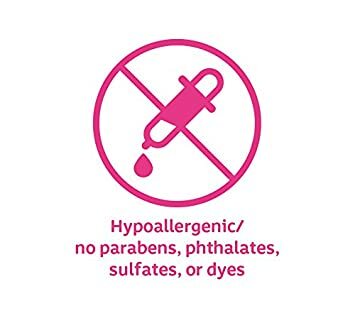 It's hypoallergenic and free of parabens, phthalates, sulfates and dyes, so I was hoping this would be the case, so it's good to have it confirmed. 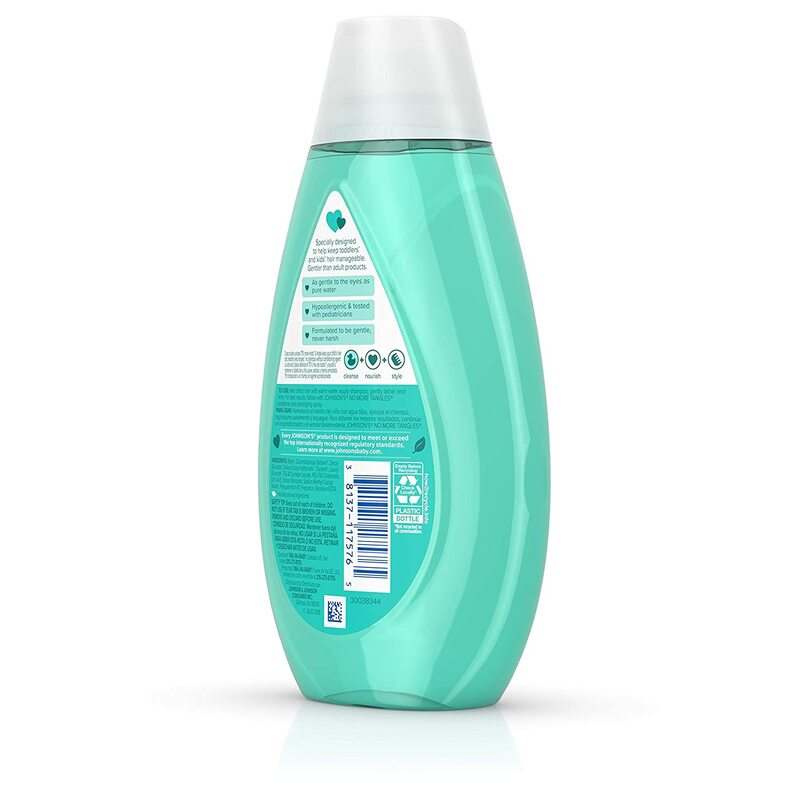 With lots of curly hair that has a fine texture I look for products that help with tangling but do not weigh down the curls and this shampoo performs both tasks. 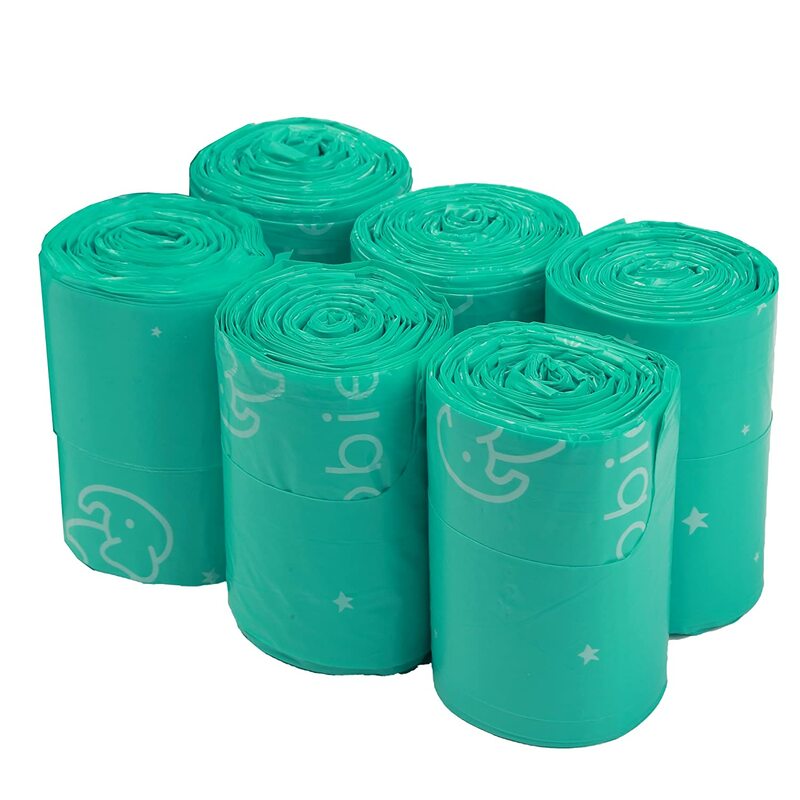 Additionally, it is gentle to use which is one reason why as an adult I continue to select products designed for babies. 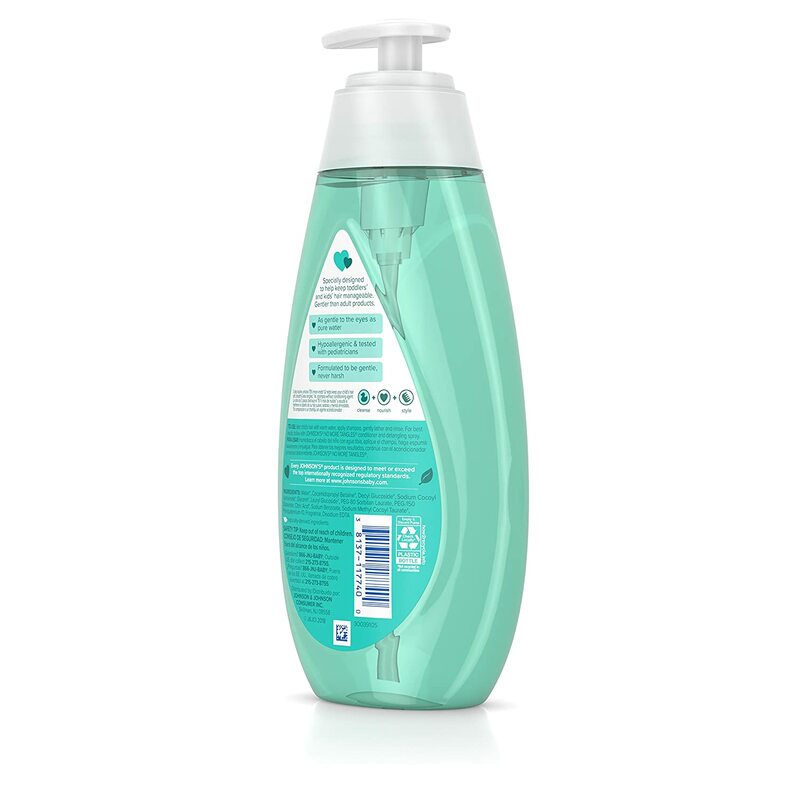 In general they avoid or at least mitigate harsh chemicals and in this no more tangles shampoo the formula is free of parabens, phthalates, sulfates and dyes. The fragrance is light, hard to describe, inoffensive and dissipates quickly. 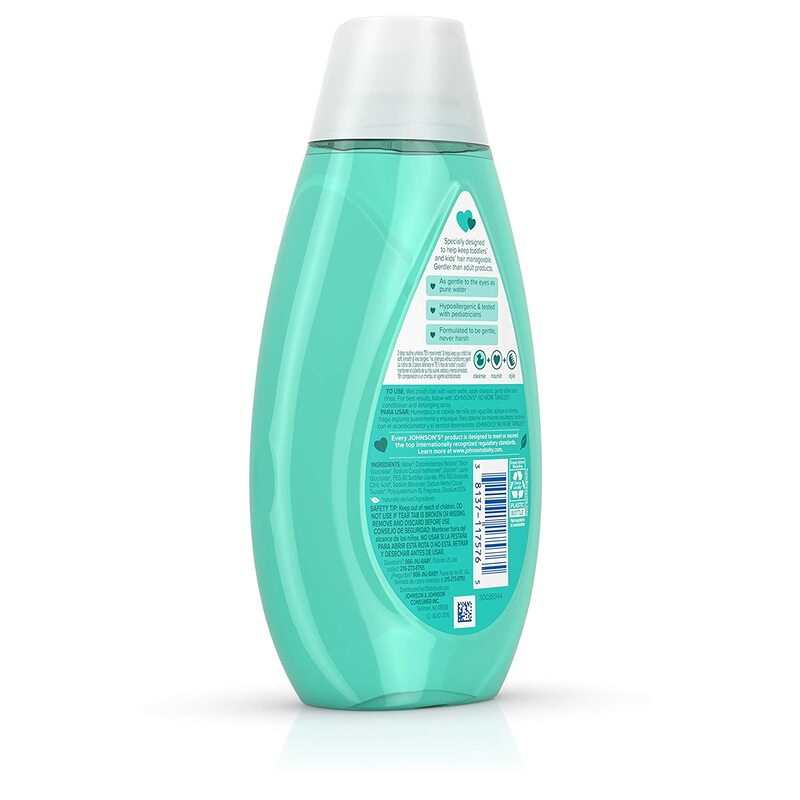 The colorless shampoo lathers well although the volume of suds is somewhat reduced with the welcome elimination of strong sulfates that strip moisture from hair and skin. After use my hair was definitely easier to comb without using any additional products and after drying felt soft. 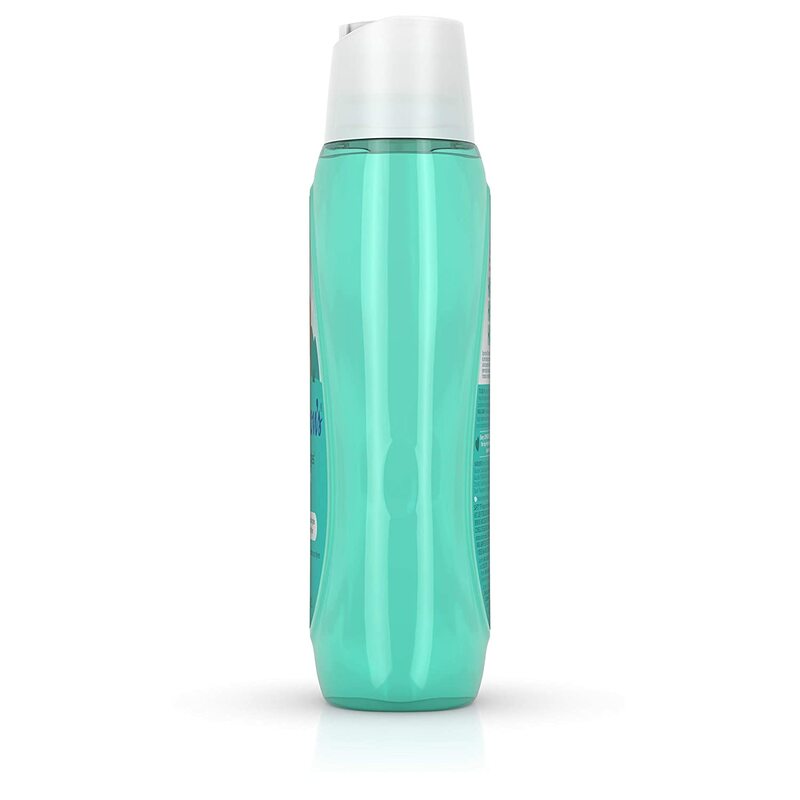 The pump dispenser is trouble-free to use and has a broad base which is helpful when pressing down on a wet bottle. 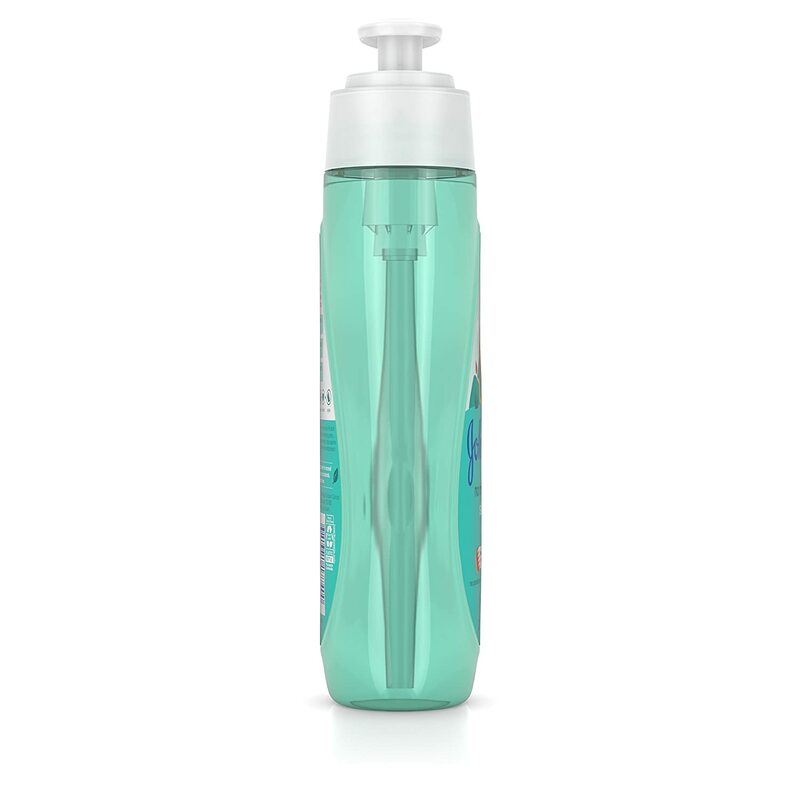 Only minor criticism is that the bottle shape is not ergonomic so it can be difficult to grab, grip or hold. 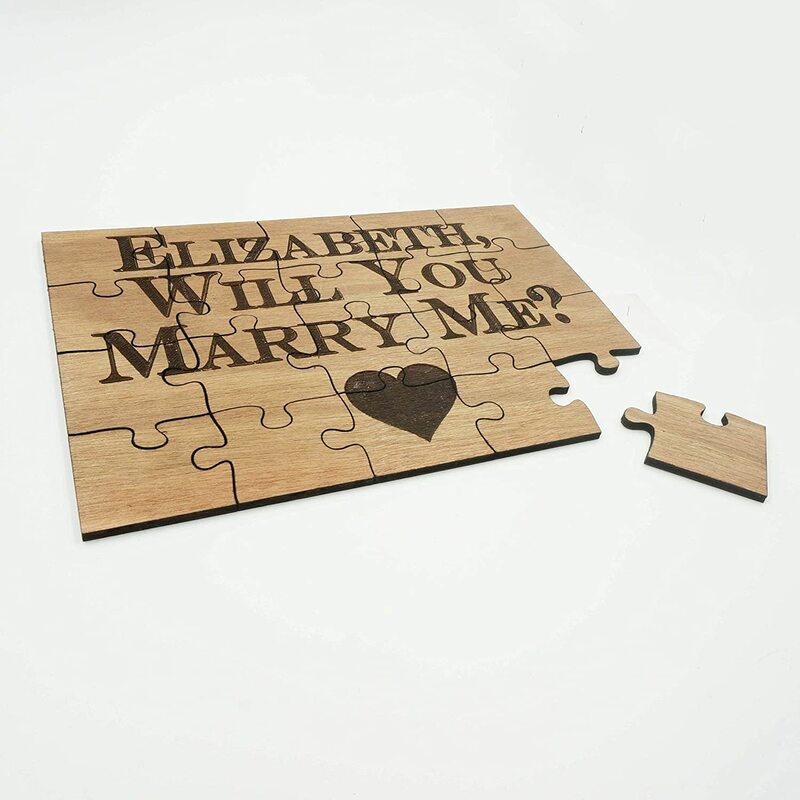 Works great and very pleasant to use. 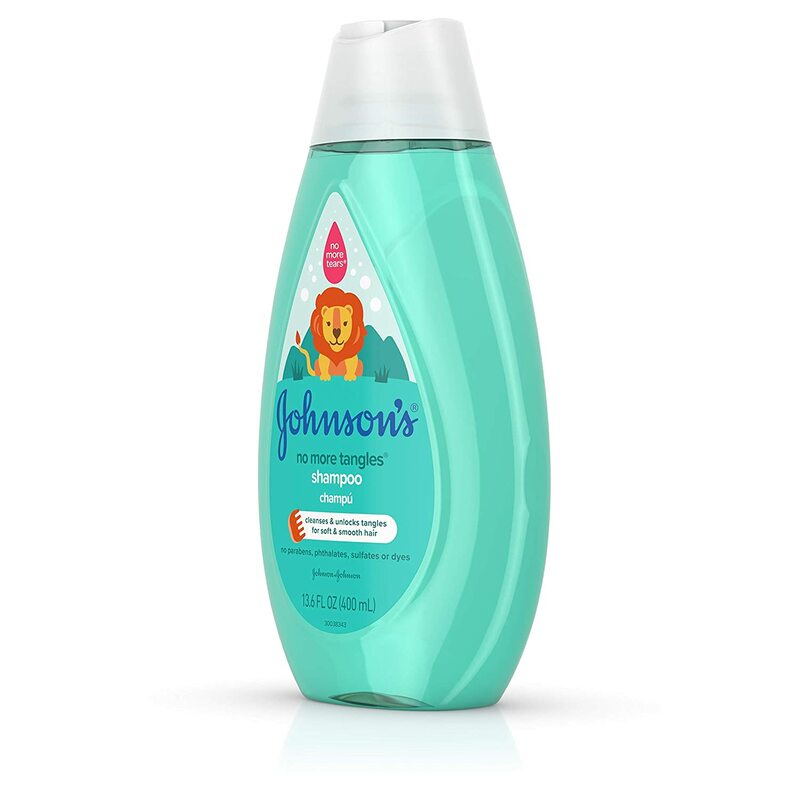 The Johnson's No More Tangles Shampoo worked very well on everyone's hair in our household. My daughter's hair is long, fine, and prone to tangling. My husband and son's hair are short, course, and stubborn. My hair is long, thick, and very dry at the ends - and prone to tangling. 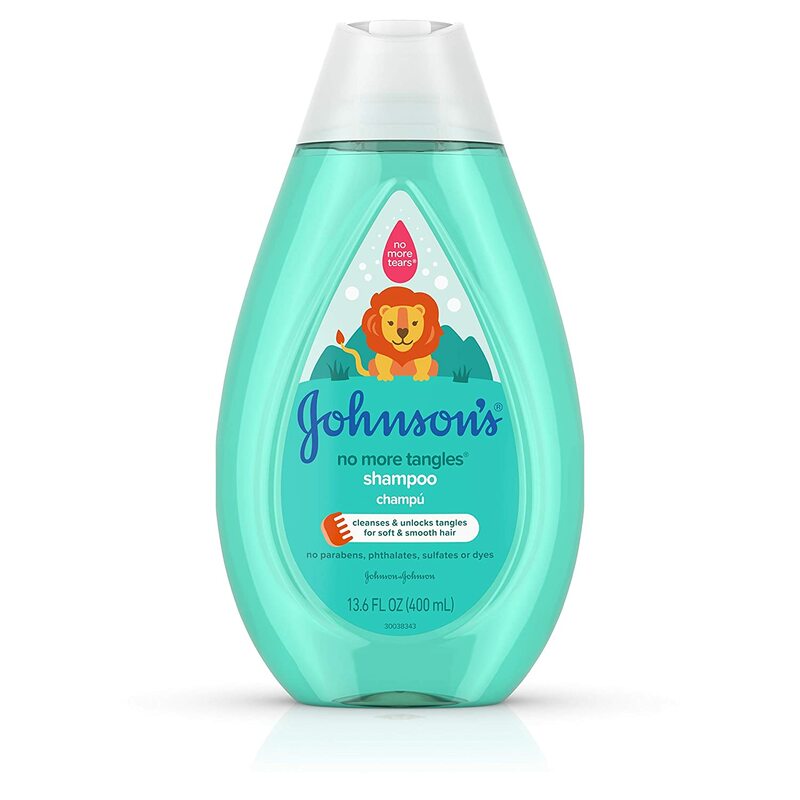 The Johnson's shampoo worked for all our hair types and helped with the brushing process for my daughter and me. 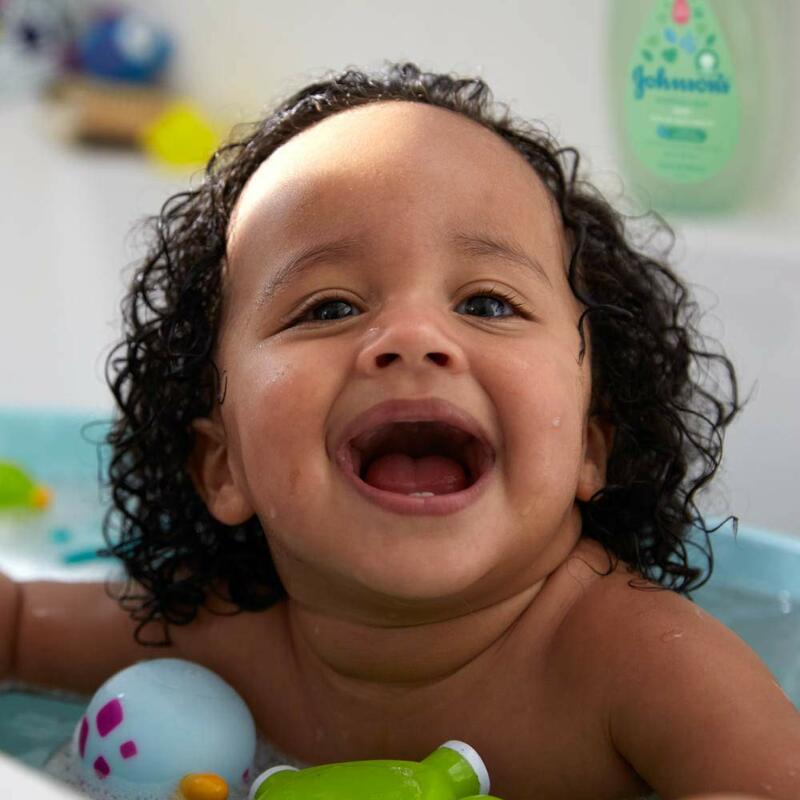 It's definitely gentler than any adult shampoo products we've used, but a little more cleaning than baby shampoos. 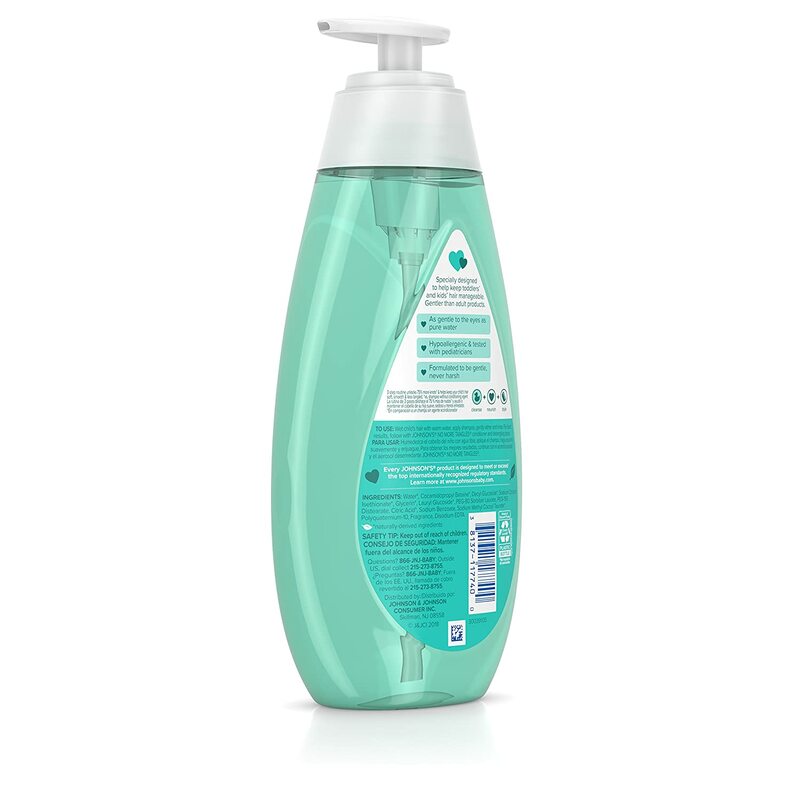 The scent is soft and pleasant, and the shampoo does not cause your eyes to water should you get shampoo in there. 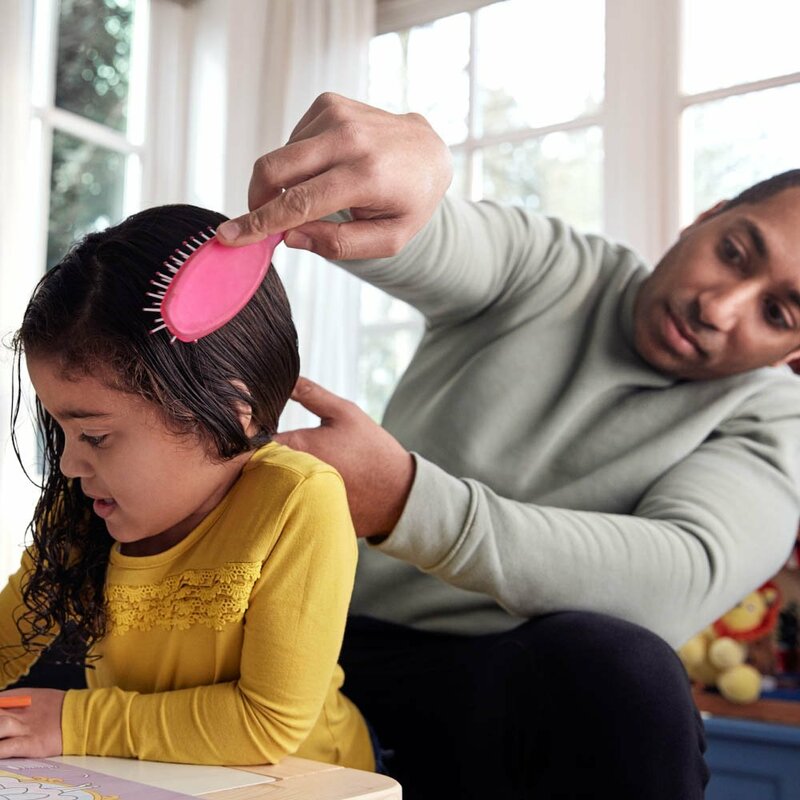 Because of the more liquid consistency of the shampoo (in comparison to adult shampoos), it's easier for my kids to pump out by themselves, and it encourages them to not use an overwhelming amount of shampoo in their hair. 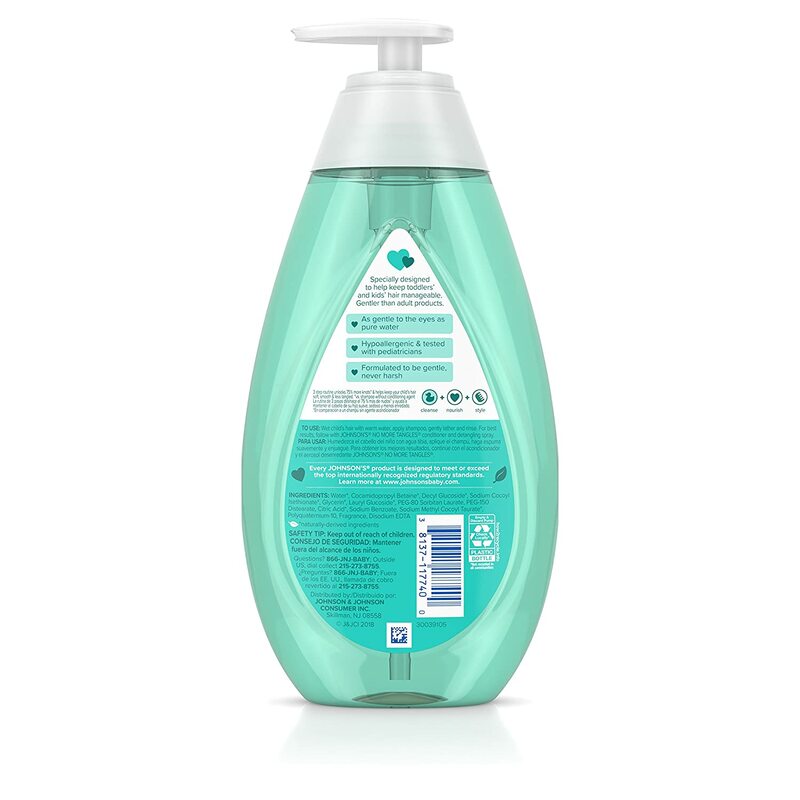 Overall, if you're looking for a good tear free shampoo that's gentle on hair and helps release tangles, this is a good one to consider. 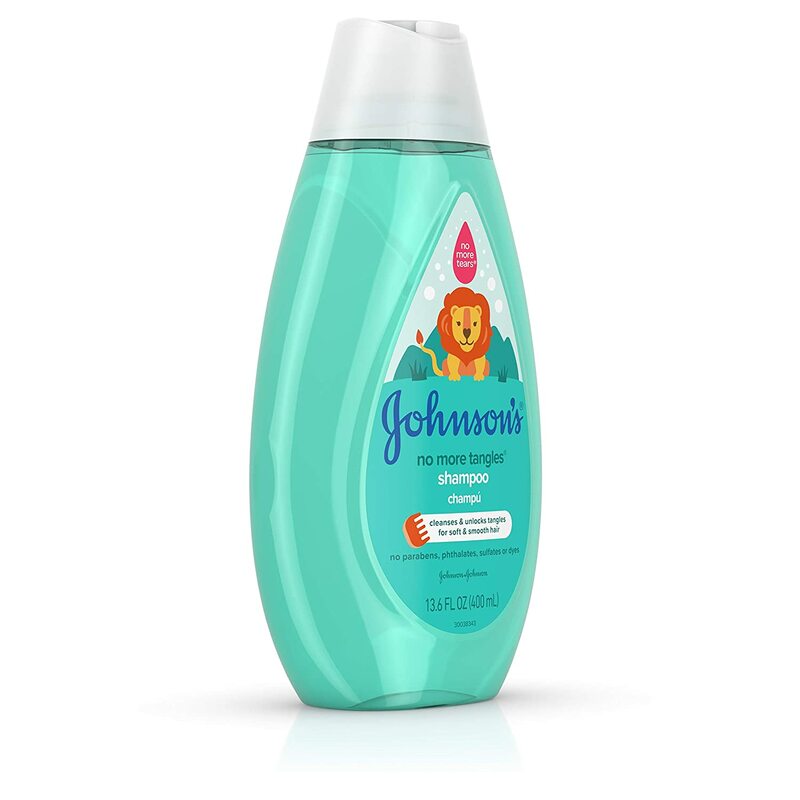 I grew up with Johnson & Johnsonu2019s No More Tears shampoo and the slogan in those days was that the soap wouldnu2019t burn and sting young eyes, but u201cfeel like raindrops.u201d I thought that line was pure horse manure. I didnu2019t fall for that. u201cRaindrops are water and water hurts when it gets in your eyes,u201d I challenged at 5. I found the earlier No More Tears shampoo did burn and sting should it get in my eyes. Then and now, I hate washing my hair and find it a distasteful chore. This product is a turnaround. Itu2019s gentle on hair and doesnu2019t sting your eyes should some slip. 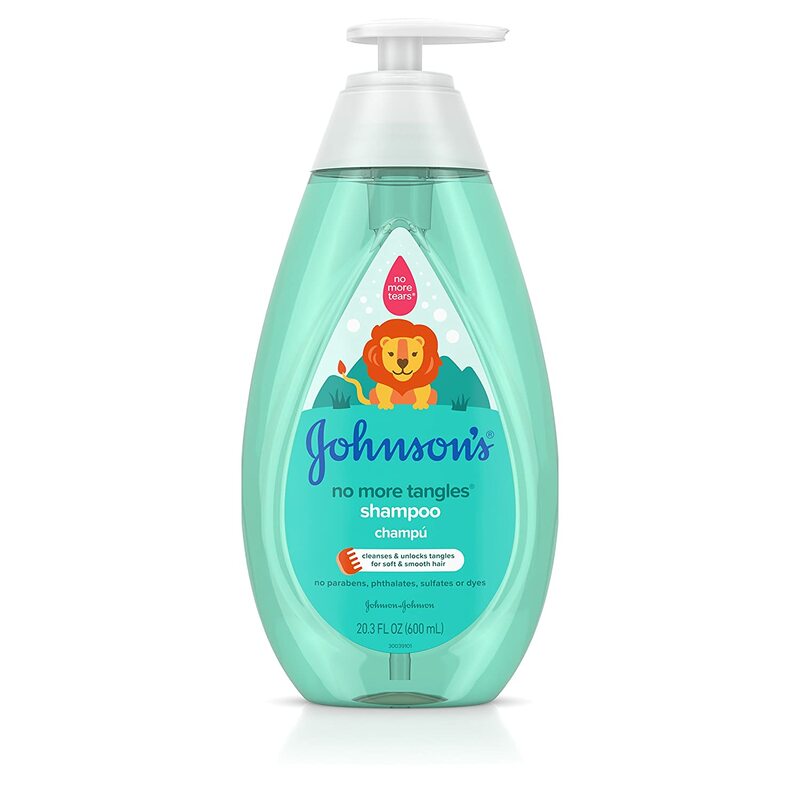 Johnson & Johnson products have survived the test of time by improving and revamping their products. 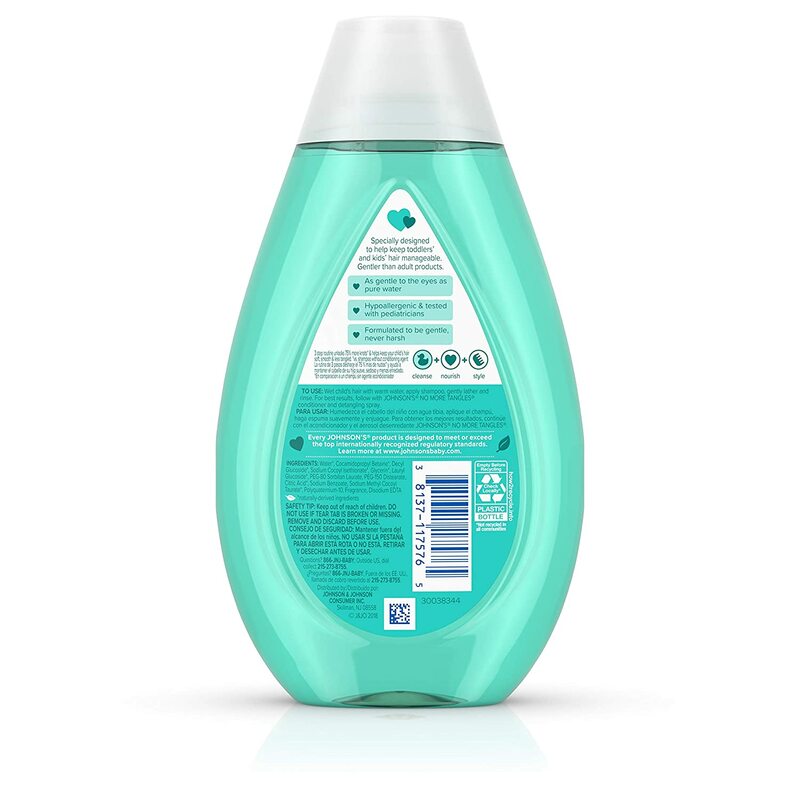 This detangling agent is a far cry from its previous incarnations. It does soften your hair and makes the dreaded comb out part much less painful. I was skeptical at first that this would get rid of tangles, but on the very first application, it worked fantastic. No tangles. It also made the hair feel very soft. 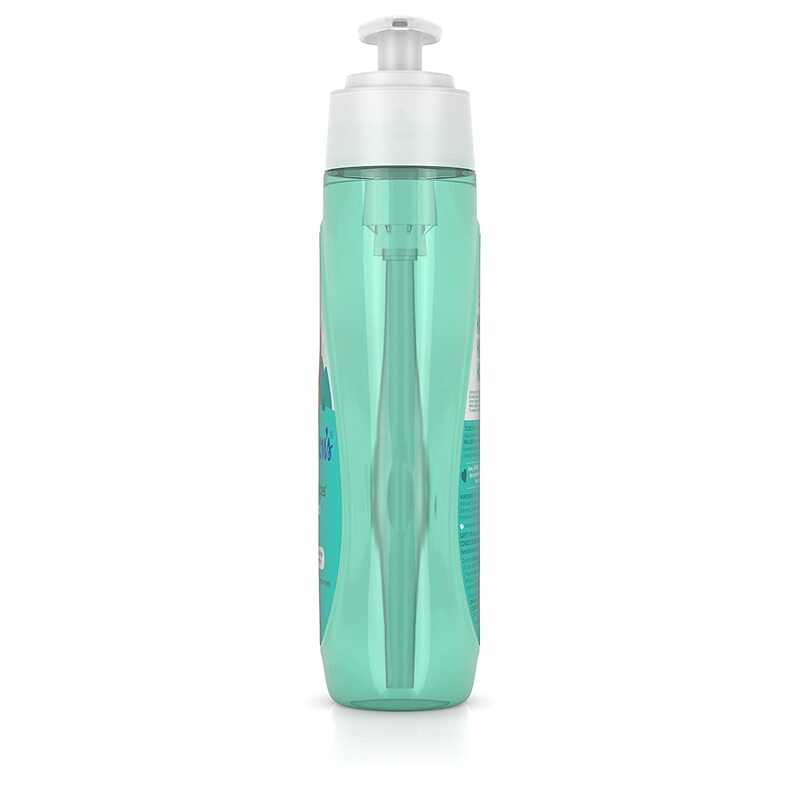 I really like that it's made without sulfates, parabens, dyes, and phthalates. The bottle is quite large and should last a long time. The only negative was that it was hard for me to get the dispenser unlocked. I twisted it, but expected the dispenser top to pop up. It works, and maybe that's as high as it goes, but I thought it would pop up high like other dispensers we've used. On the other hand, the way that it is should help us not waste and use more than we need. 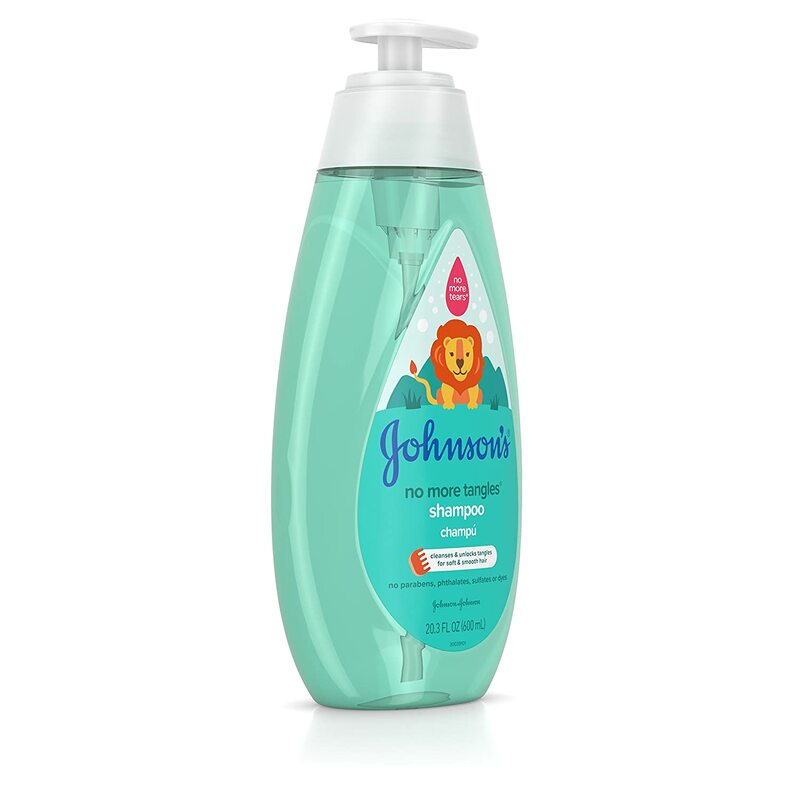 All in all, a good choice from Johnson and Johnson, and it felt like conditioner wasn't needed after using this shampoo since it does such a good job. Bravo!